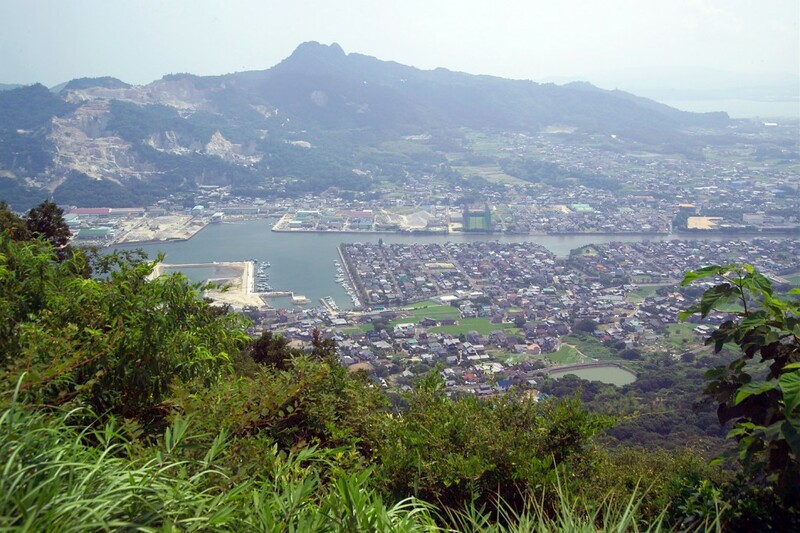 A short distance beyond Okayama is this merchant town. A good day trip. 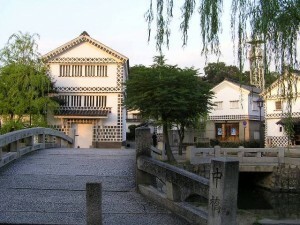 It has a very pretty section of old houses of white and black tile lining a canal. There are museums of different kinds; folk art, western art, architecture. Above this section of the town is an interesting walk through an old park. 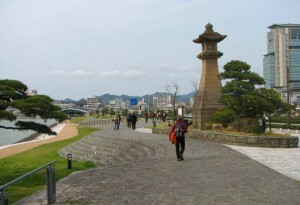 Take the JR to Okayama (see Takamatsu) and change there for the train to Kurashiki. 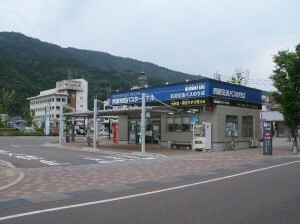 It is a few stops beyond Okayama. At the rather large train station walk straight ahead for about 15 minutes and turn left. The interesting section isn’t very large and if one doesn’t visit the museums it wouldn’t take long to see everything.